“I believe Judit Berg should be mentioned together with the greatest authors of children’s literature, such as Astrid Lindgren, as she has a wonderful talent of speaking the language of children.” EszterKovács, editor of the biggest Hungarian website on children’s literature. 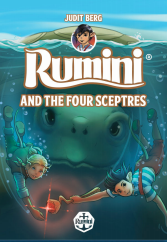 RUMINI is a breathtakingly exciting adventure book series for children aged 6-12. 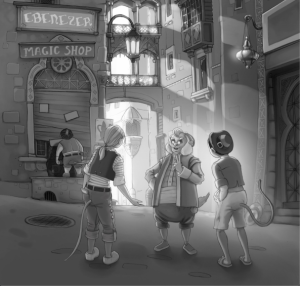 The beautifully written, enchanting stories tell the fast-moving tale of Rumini the young sailor mouse and his friends. The heroes always need courage, cleverness, inventiveness, persistence, a strong belief in their friends and the crew of the ship, the Queen of Winds. 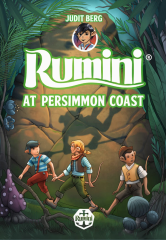 Rumini and his friends sail on mysterious seas, among deserted islands, looking for hidden treasures, face pirates, and fighting for justice and freedom endangered evil-minded enemies. Hungary is a small market. The yearly sale of an average book is less than 1500 copies. 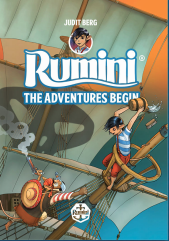 The average yearly sale of Rumini is 10 000 copies a year. 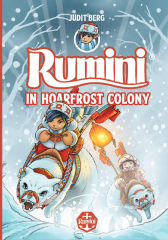 So far Rumini has sold 42 000 copies. The series all together sold more than 90.000 copies in Hungary only and recently sold all 10 books of the series in China.